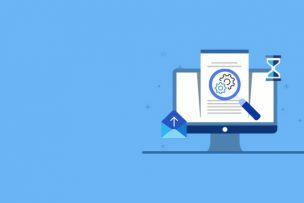 SEO is a technique which keeps on transforming at a lightening speed. As 2017 is very soon ending, it is the right time to plan SEO strategies for the upcoming year to improve or at least remain steady in terms of search engine rankings and traffic. 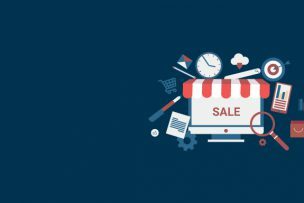 The below mentioned 6 latest SEO trends might inspire and help you in setting up a successful SEO strategy for your business. As per Smart Insights, there are around 6,586,013,574 searches a day worldwide. Out of which, 60 percent are done from mobile devices. Your audience is using different types of devices like Smartphones, tablets, Smartwatches, laptops, etc., to search for your business. With the announcement of Mobile-First Index in 2018, mobile optimization will become a necessity rather than an option. So, if your business website is not mobile-friendly, it is high time you revise your SEO strategies and make it ready for mobile searches. In 2015, Google announced Accelerated Mobile Pages termed as AMP. It is a framework which enables your web page to load faster on a mobile device. AMP enables your website to rank higher on search engines ultimately boosting traffic. Basically, content aggregation is the content which has been collected and curated by the blogger, community or the editors of the site. The aggregated content is the collection of posts, articles, videos, infographics, etc., related to a topic displayed at one place to target a certain set of audience. As per the latest report, content marketing is expected to be a $300 billion industry by 2019. People now look for informative content on a specific topic or subject instead of content stuffed with keywords. If you too are trying to appeal your target audience, ensure that you include content from high-authority blogs, social networking platforms, White Papers, etc., and present it in the most interesting form. As per Hubspot, Over 95 million photos and videos are shared on Instagram every day. Everyone knows that videos can engage and entertain your visitors. But, do you know including enough videos in your content can boost up your website ranking on SERPs? Google has started giving preference to blended content which can include content, videos, infographics, etc. As per the statistical report, 50% of all searches will be voice searches by 2020. Voice search these days has become quite popular because it has taken away the pain of typing keywords in search boxes. People on the go, while driving or multitasking prefer to use voice search. Almost all mobile devices have voice search functions. You need to ensure that your website is voice search enabled which can be done by including long-tail keywords in the content. The long-tail keywords are likely to be spoken rather than typed by the users and so will help your website to rank while the user does the voice search. After the Google’s pigeon update, local SEO has become much more important encouraging the digital marketers to emphasize on a local tangent. Ensure to execute location specific keywords and personalized content depending on the audience you are targeting to stay on the top of search engines. As per 2017 marketing statistics, 72% of consumers, who did a local search, visited a store within 5 miles. Local search optimization is going stronger with each coming year and thus is becoming more important to be included in SEO strategies. For 2018, the number of smartphone users is forecast to reach 2.53 billion. Due to this reason, businesses nowadays are getting attracted towards mobile app development. Mobile apps have made many tasks easier and so, brands having mobile apps are enjoying high ranking in SERPs. When you search for eBay on Google, the app page ranks on the top. Your brand can also get the same benefit, but ensure that you include App Store Optimization (ASO) in your digital marketing strategy. 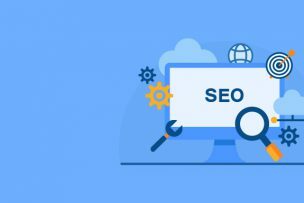 As you know the year 2017 is just about to end and to prepare for successful 2018, you need to start implementing latest SEO trends from this moment itself. It is never too early to execute new ideas if you want your business to shine out in the crowd. Just start planning your SEO strategy keeping all the above latest SEO trends in mind. Though trends keep on changing but still, these SEO trends are expected to dominate the digital marketing world in the year 2018. Some trends may diminish and some may remain everlasting, Nevertheless, by executing these trends, you will be able to lead your industry with confidence.